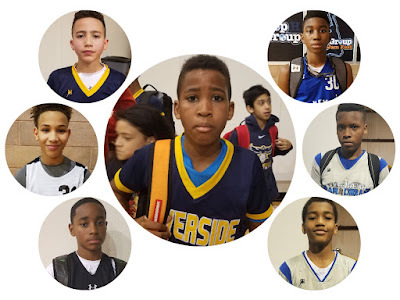 The Basketball Spotlight Clash For The Cup 6th Grade Division featured some future stars down the road. Here’s a look at our Best of The Best and Top 15 Player Performance Rankings. Crawford has been putting on for years and he gave this bracket a taste during the Clash. He scores like we breathe. His back to back 24 point performances (semifinals and championship) says it all. Bliss’s court vision ranks among the best in the country. He patiently runs the squad while surveying the floor. He’s not the quickness but may be one of the smartest and most effective in the land. Kid is a pure winner. This kid got buckets all weekend. He was a total matchup problem for anyone in his way. When New Heights were in tough games Williams stepped up to deliver each time. Hansberry made his Spotlight debut and was tough to deal with. He dominated the post and averaged a double-double all weekend. He is definitely on our radar from this point on. Burton used his size to nail the long ball all weekend. His outside shooting turned the Spartans into a legit threat to win the tournament. Robinson has the poise and posture of a player much older. He game is geared to translate to the next level. He’s going to be a big name on the scene for years to come. Valentine gets it done from the scoring or point guard role. He drops dimes from anywhere on the floor and will turn on the scoring switch when his squad is in need. He’s a proven commodity on the Spotlight scene.